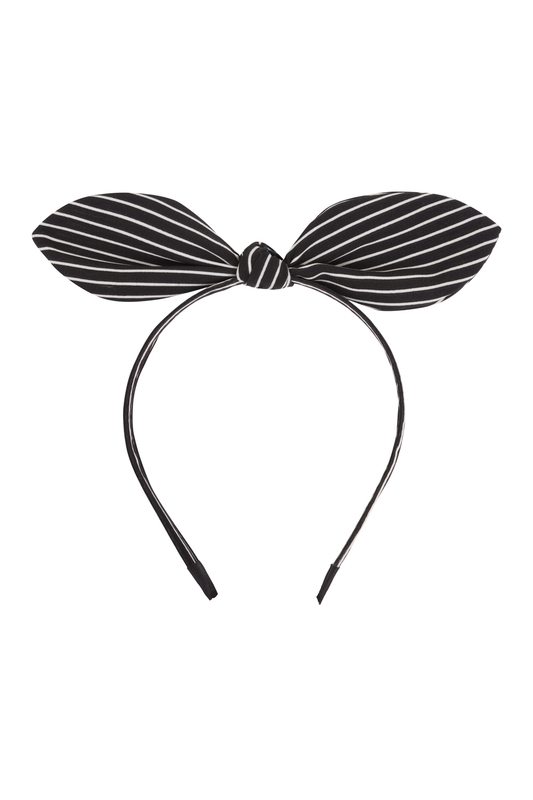 Monochrome striped bow, oh how we love you so! This headband will brighten up any day, and most importantly, your outfit! There is even a metal wire hidden in the bow fabric which allows you to adjust the bow to your liking. Good luck resisting the temptation to buy all four!